Designed for the industry’s best, by the industry’s best. Our brands have earned the trust of some of the most discerning critics in the aftermarket automotive industry. That trust is what Wheel Pros is founded on. The final and most personal step for Niche Forged wheels is the custom finish. Our in house polishing, powder coating, and liquid paint line allows us the freedom to think outside the box, pushing the boundaries of what custom wheel can become. Visit manufacturers site. We are committed to overseeing each step of a wheel’s existence. From the moment it’s conceived on the computer screen to its birth in the casting machine, we monitor each step of the manufacturing process. Visit manufacturers site. The RTX Wheels line started in 2003 with a selection of 3 models. Over the years, with the different technological innovations and following the market trends, RTX Wheels diversified its offering to the level we now know. RTXwheels is proud to offer the broadest selection of alloy wheels on the Canadian market with over 120 models available. Visit manufacturers site. All DAI Alloys® wheels meet the following quality standards: JWL Standard (Japan Light Alloy Wheel Standard) VIA Mark (Vehicle Inspection Association of Japan) Radial stress test (500 000 rotations) Rotary bending fatigue (100 000 rotations) 13 degree impact test (drop height 230mm) Meets all the criteria of load rating. Visit manufacturers site. Fuel Off-road manufactures the most advanced off-road wheels, offering the latest in design and engineering innovations on the market. Established in 2009 by MHT Luxury Alloys, one of the most trusted and time-tested names in the business, Fuel Off-road has been capturing the attention of off road enthusiasts with our cutting edge designs, fitments, and technological advancements. Visit manufacturers site. 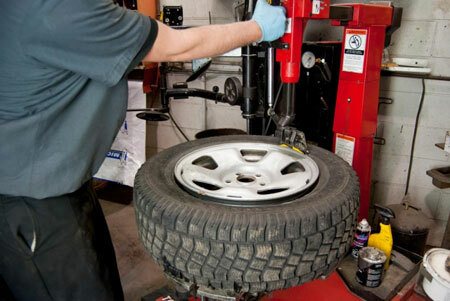 Discerning drivers want only the best for their vehicles, and with over 40 years of experience, Vision Wheel delivers. With a stunning line of custom wheels for your truck, SUV, passenger car as well as UTV’s and ATV’s. Vision Wheel provides auto enthusiasts with the highest quality products available. Visit manufacturers site. TWG’s product lines include alloy wheels of all finishes with a large variety of sizes to cover all consumer demands. All The Wheel Group’s products are designed with maximum multi-fitment [dual drill] capability to provide caliper clearance for a broad range of vehicles. Visit manufacturers site. Replika alloy wheels allow you to customize your vehicle while still keeping the appearance of the original wheels. They come in different sizes and finishes that are frequently not available in the originals. Visit manufacturers site. Braelin Wheels, Enkei Wheels, Vossen Wheels, YKW Wheels, DUB Wheels, RSSW Wheels, and More.